Currently, investigating the structure-function relationships in ecological communities remains a major goal for ecologists. For example, it is necessary for us to understand what on earth the across-community relationships of taxonomic structure and function are, and to what extent the structure-function relationships hold over large spatial scales. Identifying such relationships is particularly critical for microorganisms. Microbial biogeography has been well investigated in past decades. Researchers have found that the spatial distribution of microbial communities will be affected greatly by environmental factors or dispersal barriers. However, how microbial functions vary across geographic regions, and whether or not the spatial variation of their functional structure is associated with observed taxonomic patterns is still unknown. Generally, the structure and function of microbial communities often display coupled variations along an environmental gradient, but such a relationship may not totally be held in some cases. For example, distinct phylogenetic taxa can play a similar role in communities whereas closely related taxa may have very different physiologies and environmental tolerances. To fill up this research gap, Dr. WANG Xiaobo, a researcher of Institute of Applied Ecology, Chinese Academy of Sciences, together with colleagues, has investigated the taxonomic and functional diversity patterns of soil microbial communities and drivers that shaping these patterns in alpine grasslands of northern China, using the method of marker genes sequencing and functional gene surveys. They found no consistent changes in the functional structure in spite of the variations in the taxonomic diversity and composition. Both the environmental factors and geographic distance concurrently affected the taxonomic diversity patterns but they had no effects on the spatial variations in functional genes. Also, they found no significant relationship between the taxonomic and functional composition similarity among microbial communities. Their findings provide evidence that spatial variations of microbial function structure within a community would not follow the variations of taxonomic structures due to different drivers between both of them over space. 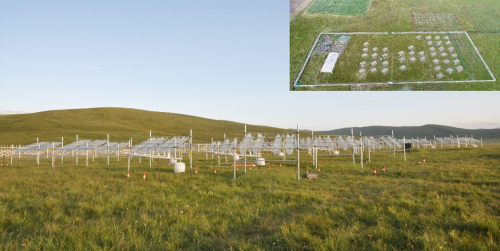 The study entitled "Environmental and spatial variables determine the taxonomic but not functional structure patterns of microbial communities in alpine grasslands" has been accepted in Science of The Total Environment. 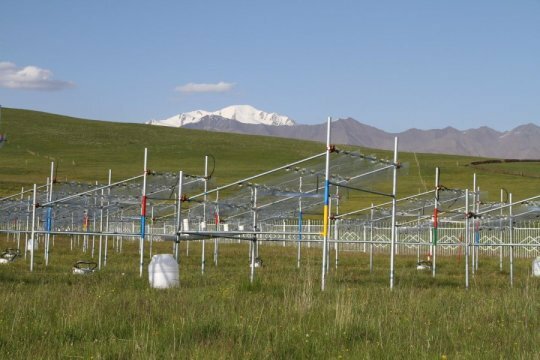 This research is financially supported by the General Program of the National Natural Science Foundation of China and the Strategic Priority Research Program of the Chinese Academy of Sciences. 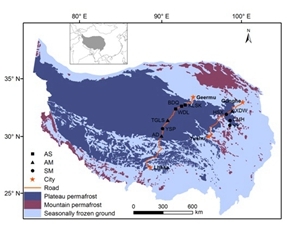 Researchers from Institute of Botany of the Chinese Academy of Sciences examined soil bacterial, archaeal and fungal communities in the active and permafrost layers at ten sites on the Tibetan Plateau using high-throughput Illumina sequencing.